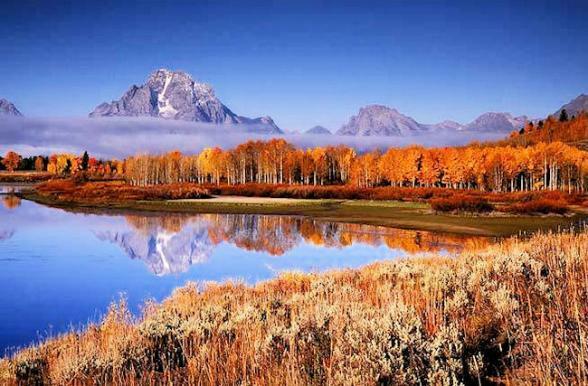 The scenery on this two week fly-drive through the incredible Rocky Mountain region of America will blow your mind. 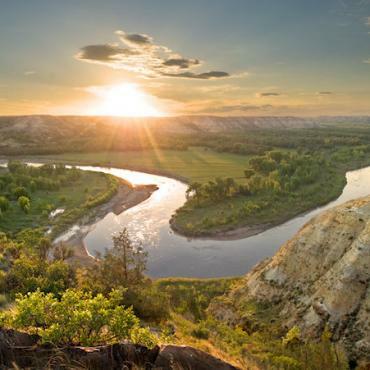 Journey through North & South Dakota, Montana and Wyoming and discover jaw-dropping scenery and sights. 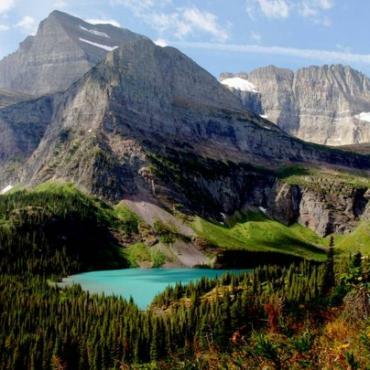 From iconic Mount Rushmore to mighty Yellowstone National Park; the otherworldly Badlands National Park to the Crown of the Continent, Glacier National Park. If you are looking for a fly-drive adventure with the WOW - factor, you've found it! 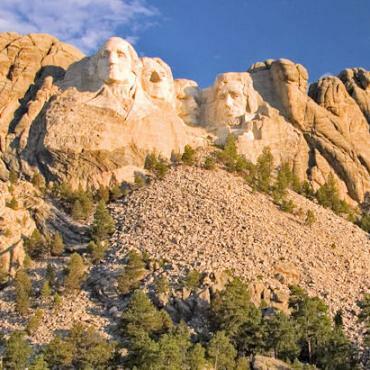 Rapid City is the largest city in western South Dakota and serves as the gateway to the Black Hills. 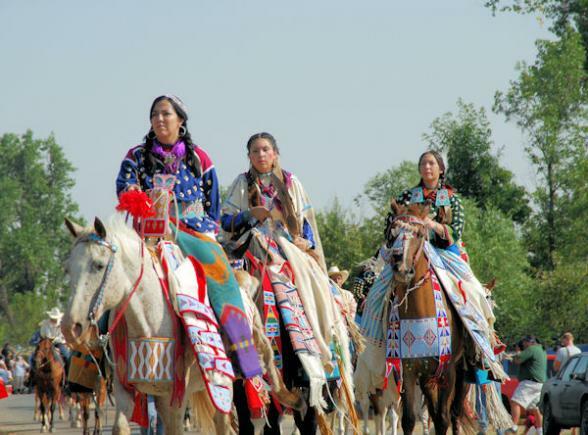 It's home to many incredible museums including the Journey Museum and the Museum of the American Bison and as well as a newly-revamped lively downtown scene. 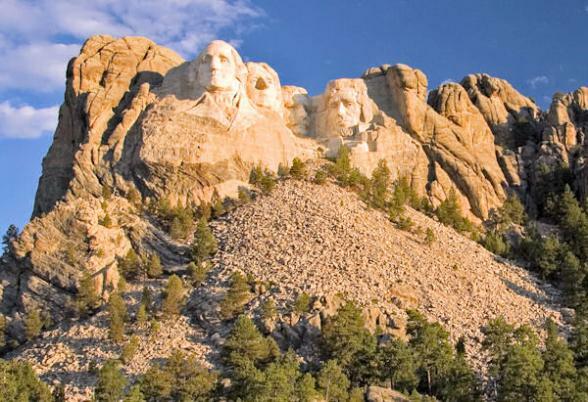 Rapid City will be your base for two nights from which you can explore Mount Rushmore National Memorial - the 60-foot-high mountain carving of U.S. presidents George Washington, Thomas Jefferson, Theodore Roosevelt and Abraham Lincoln. Equally impressive is the Crazy Horse Memorial just 17 miles from Mount Rushmore. This massive granite carving (the world's largest sculpture-in-progress) honoring the Native American warrior will stand 563 feet high and 641 feet long when complete; until then, view the progress while taking in the exhibits of the Indian Museum of North America, which houses some 20,000 authentic Native American artifacts. Don't forget to drive the 18 mile Wildlife Loop Road around nearby Custer State Park, the second largest state park in the nation and is home to approximately 1,500 bison and impressive granite outcroppings. 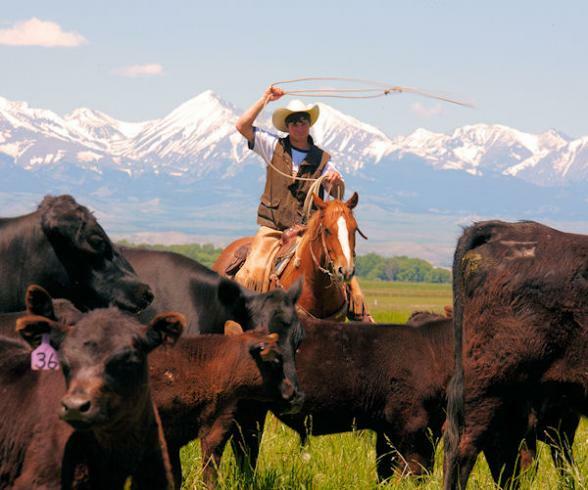 In the evening in Rapid City why not enjoy an authentic Chuckwagon Supper and Cowboy Music Show. 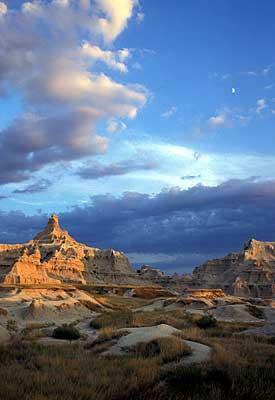 An hour east of Rapid City is eerie Badlands National Park. 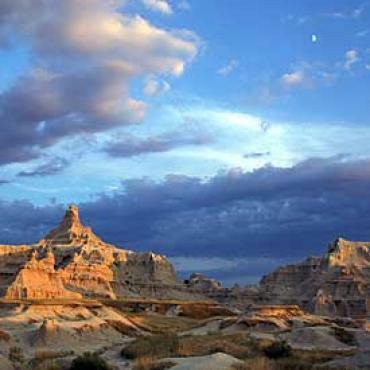 The hauntingly beautiful landscape rises mysteriously from the surrounding prairie and is a geological wonder featuring a maze of buttes, canyons and gullies formed by millions of years of erosion. The strikingly hued spires and pinnacles provide a colourful backdrop for the diverse wildlife that call the park home. Head west again to the famous Old West town of Deadwood where the legends of Wild Bill Hickok and Calamity Jane live on. Spend the rest of the day walking the downtown area, visiting the Days of 76 Museum or exploring Mt. Moriah Cemetery. Head to Diamond Lil's Restaurant in the evening in the Midnight Star Saloon on the historic Main Street. Here you can dine amongst the fascinating film props from the movie 'Dances with Wolves' which was filmed nearby. Today you'll journey through spectacular Spearfish Canyon, which features windy roads, towering limestone cliffs and a number of roaring waterfalls. Head east and briefly into Wyoming to take in Devils Tower National Monument (as featured in the movie Close Encounters of the Third Kind), America’s first national monument which reaches 364 meters into the western sky. 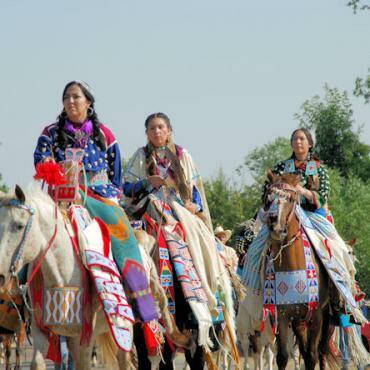 Then make your way north and onto Medora, North Dakota. Medora is a small community that lies just south of Theodore Roosevelt National Park. Medora features the nightly outdoor Medora Musical in the summer with the dynamic landscape of the North Dakotan Badlands in the background, as well as a unique Pitchfork Fondue dinner. A must-do for any visitor to the area. 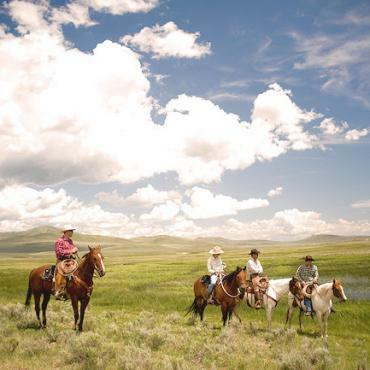 When you’ve absorbed the stunning scenery, head east through Montana, affectionately known as Big Sky Country to Little Bighorn Battlefield National Monument. Before you depart, explore the bustling downtown of Billings with a number of delicious eateries and microbreweries all within walking distance. Explore nearby Pompey’s Pillar, which contains the only physical evidence of the Lewis & Clark Expedition, or check out Pictograph State Park which features pre-historic cave drawings. When you head west through the Gallatin National Forest be sure to stop at the incredible Museum of the Rockies. 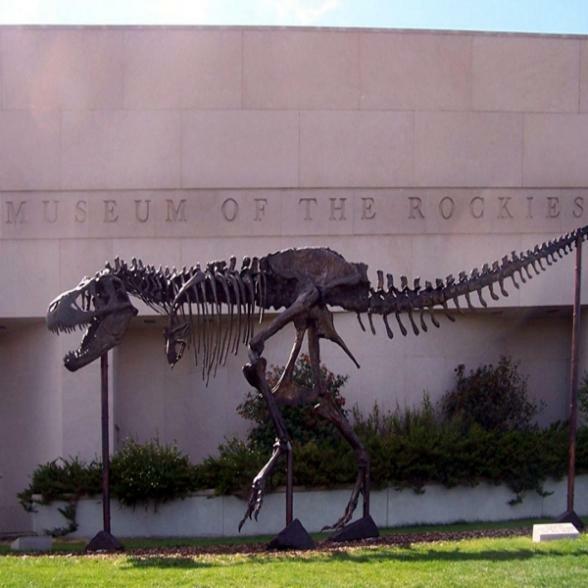 Home to one of the largest collections of dinosaur fossils in the world, the Museum of the Rockies houses the world's largest T-Rex skull and one of the first identified female dinosaurs in the world, an ovulating T-Rex. On arrival in Helena, stroll around the pleasant blocks of Last Chance Gulch decorated with mining-themed sculptures and fountains, and enlivened by bars, side walk cafes and restaurants. Pop into the impressive State Capitol Building or view the fine collection of art and crafts in the Holter Museum of Art. Just 16 miles north of Helena, take a boat tour through the Gates of the Mountains. 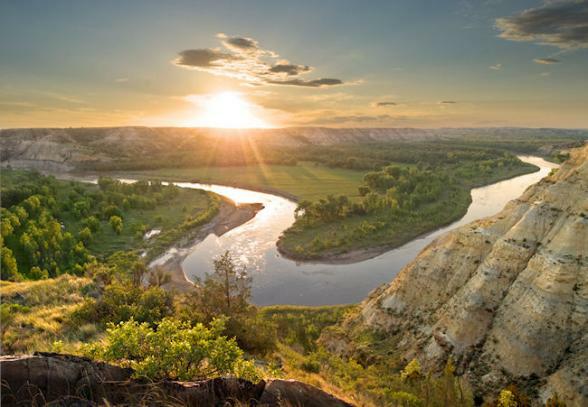 Named by Meriwether Lewis during the Lewis and Clarke expedition, this is a dramatic stretch of the Missouri River, with 1,200ft cliffs on either side. Next you'll journey through jaw-dropping scenery en route to spectacular Glacier National Park, in the northwest corner of Montana. 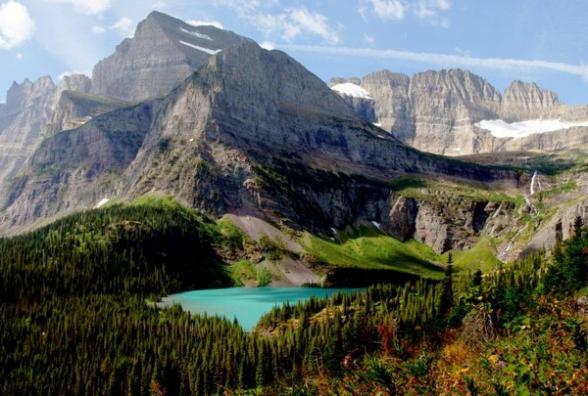 Known as the 'Crown of the Continent', Glacier National Park is the largest concentration of glaciers in the lower 48 states. Spend the next couple of days exploring this expansive area of glacial-scoured valleys, towering peaks, tumbling waterfalls, verdant forests and wildflower-strewn meadows. The breathtaking scenery creates a picture-perfect backdrop for the park’s resident wildlife: From grizzly bears and imposing elk to snow-white mountain goats and bighorn sheep. A must is a drive along the magnificent 85km Going-To-The-Sun-Road and over 1,126km of trails to explore on foot or horseback. Quaint Whitefish is your base for the next two nights. Here you can enjoy unique restaurants and friendly western-style bars. Begin your journey south, first stopping to admire the crystal clear waters of Flathead Lake where you can hit the water or relax on the shores. A must-do stop on Flathead Lake is pretty Big Fork named by National Geographic as one of the Best Small Towns in America. As you make your way through the Mission Mountains of the Northern Rockies of Montana, you will come to the artsy town of Missoula situated on the confluence of three rivers. An outdoor enthusiast’s dream, Missoula also offers the opportunity to visit the Smoke Jumper Visitor Center which tells the story of how highly trained firefighters fight forest fires in remote areas throughout the country. 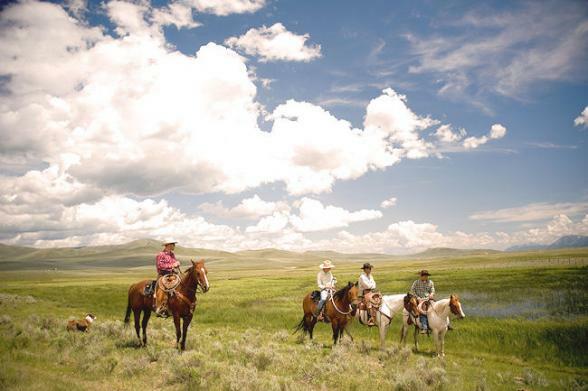 You'll take the scenic drive to the delightful western town of Philipsburg next, one of the ‘Prettiest Painted Places in America’, where you can mine for authentic Montana sapphires or enjoy a frosty treat in the old-time Ice Cream Parlour, before heading to your overnight stop in Butte. Fancy a walk on the wild side in Butte? Visit the historic Dumas Brothel Museum, home to what was once America's longest running brothel. Located on the Continental Divide, Butte was once one of the most thriving cities in the west due to the highly prosperous deposits of copper that reside in the surrounding mountains. Before you continue your journey south, explore the historical downtown area which includes the Copper King Mansion, the former residence of copper tycoon William Andrews Clark. Continue south to the Old West mining towns of Virginia City and Nevada City which have been restored to reflect the boom days when settlers and miners migrated to Montana in the late 1800s. Spend the afternoon exploring the quirky boutiques, theatres and historic homes here before arriving in West Yellowstone. Get an early start for the nation’s first national park, Yellowstone. Blessed with an abundance of natural beauty – lakes, waterfalls and scenic mountain vistas to name just a few – Yellowstone is best known for the geysers, hot springs and mud pots that make the park one of the most active geothermal areas on the planet. This awe-inspiring landscape covers an expansive 2,000,000 acres with over 10,000 thermal features and hundreds of animal species running wild. Popular sites in Yellowstone include Mammoth Hot Springs, Yellowstone Lake, Old Faithful, Lamar and Hayden Valleys and the Grand Canyon of the Yellowstone with its inspirational view of Lower Falls. Spend the next two days exploring this UNESCO World Heritage Site. Keep an eye out for the abundant wildlife here, especially the bears who do like to stroll near the road. 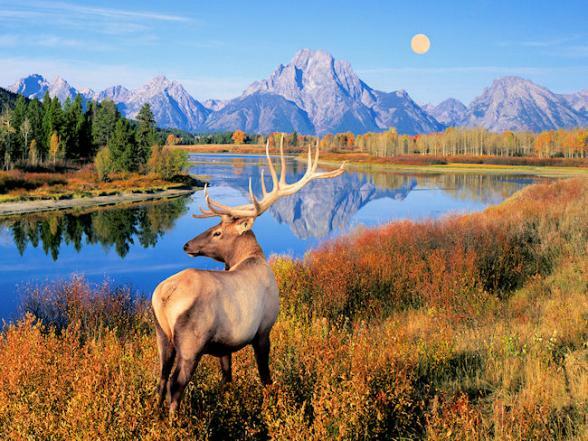 Get your last fill of Yellowstone as you head south to Grand Teton National Park, just over an hours drive from the park. 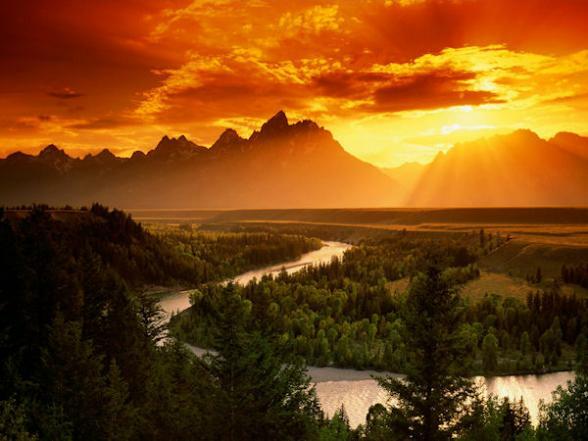 Grand Teton National Park is dominated by the Tetons, a 40-mile mountain range that is part of the famed Rocky Mountains. 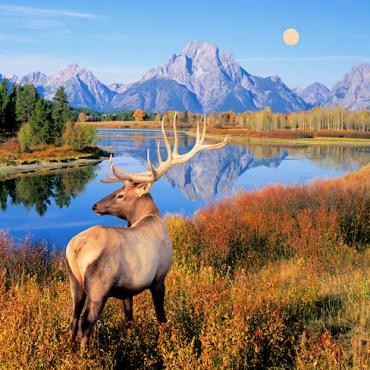 Spend the day exploring the park - popular activities and sites include the 42-mile Scenic Loop Drive,Grand Teton National Park Visitors Center, and the Aerial Tram. 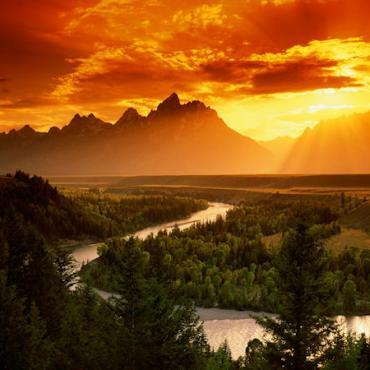 Grand Teton is also an outdoor adventurers paradise with endless hiking and climbing opportunities as well as water sports activities on the park’s lakes and rivers. Try a scenic float trip down the Snake River, or enjoy a breakfast or dinner cruise on picturesque Jackson Lake. The pretty western town of Jackson on the southern tip of the National Park features wooden sidewalks, elk antler arches and shops that range from the chic to the traditional. 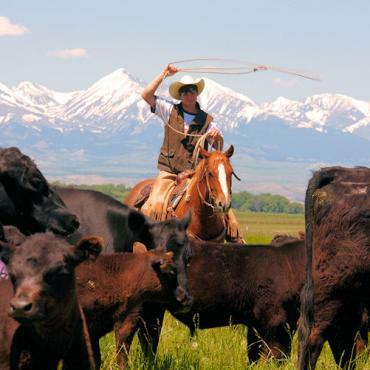 Enjoy a Wildlife Safari or visit the National Elk Refuge to view some majestic Rocky Mountain wildlife; saddle up at the Million Dollar Cowboy Bar or visit the world-famous Silver Dollar Bar located in the historic Wort Hotel. 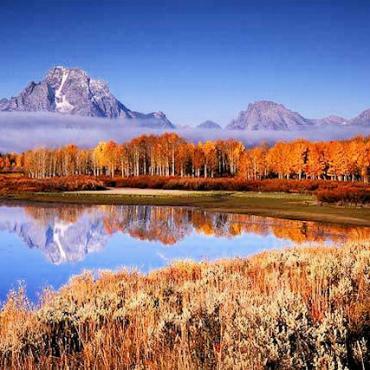 Depart from Jackson Hole Airport on your early morning flight back to the UK. Your adventure doesn't have to end here however. Perhaps you may want to extend your time here and include a ranch stay or maybe spend a few extra days in Yellowstone. Call the USA travel specialists at Bon Voyage to discuss your perfect Beautiful Badlands and Picture Perfect National Parks tour.